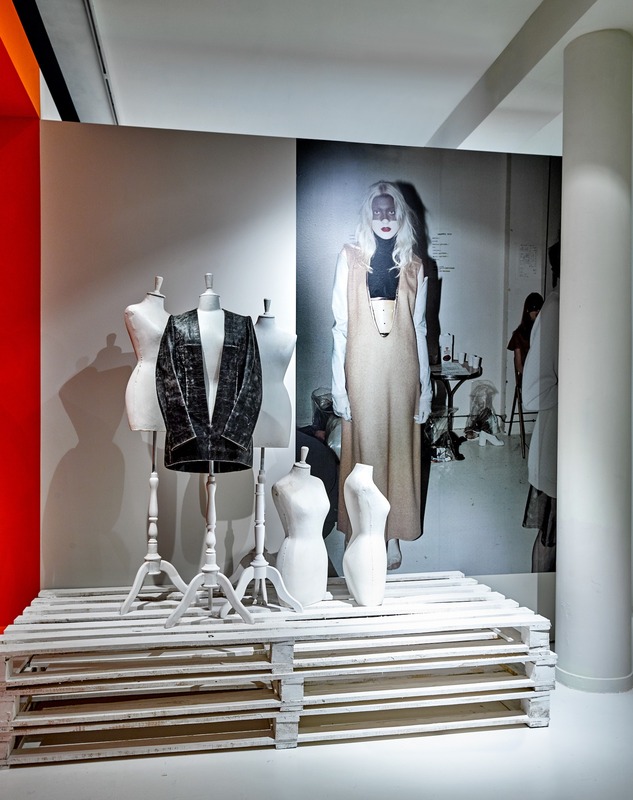 By the time the Belgian designer Martin Margiela was appointed as head designer of the storied maison Hermes in 1997, he was widely seen as being at the forefront of the fashion’s avant-garde. The news was a real shock to the fashion cognoscenti, causing a tidal wave of rumors and speculation. It seemed perplexing that the anonymous designer, whose own label was synonymous with fashion deconstruction and underground cool, would be able to coexist with the very pinnacle of French haute bourgeois taste. But in retrospect it perhaps shouldn’t seem so surprising when one considers the aesthetic arc of that decade. The visual codes of the ’90s began with a raw, stripped-down look, often referred to as “grunge,” but it evolved into something more streamlined and pared-down. 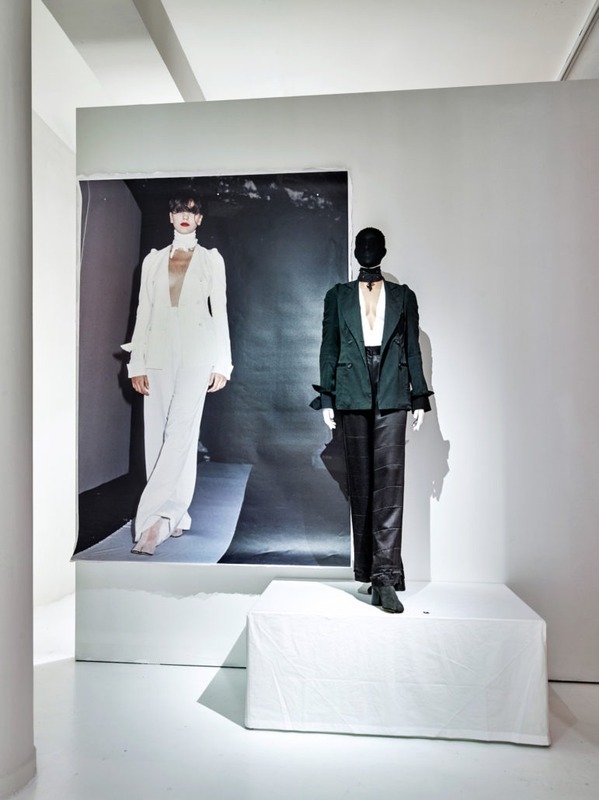 This trajectory was spearheaded by a group of London image-makers of whom Margiela was a firm favorite. 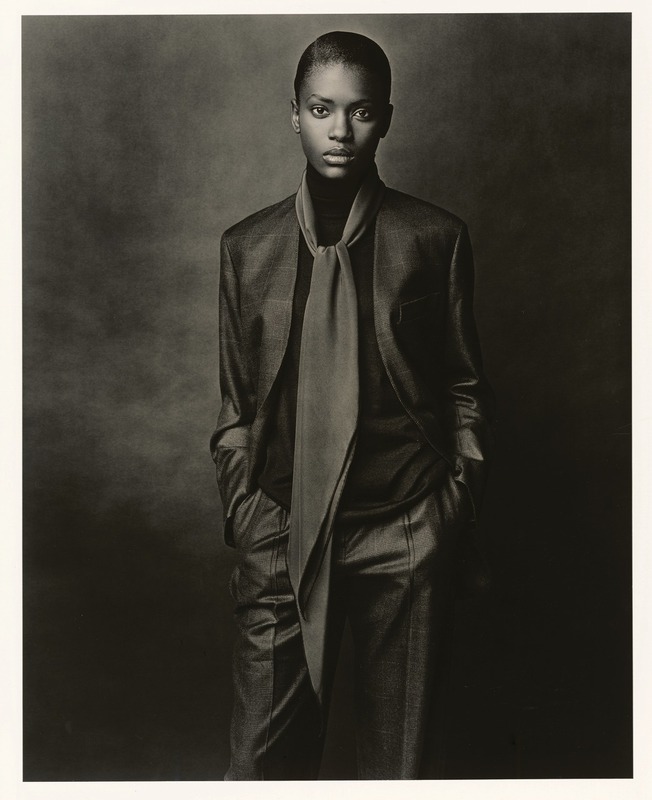 Working with major bands such as Calvin Klein, Helmut Lang, and Jil Sander, and publications such as Vogue and Harper’s Bazaar, that group of photographers, such as David Sims and Corinne Day, and stylists, such as Melanie Ward and Joe McKenna, went on to shape the look of the decade by refining their original raw approach to a more digestible look, which became known as minimalism. Margiela’s long, to the floor silhouette, often in muted tones, jived with the monochromatic mood of the day. In retrospect, Jean Louis Dumas’ appointing Margiela seems savvy and knowing. He understood that, beneath the white paint, the darts and seams, the unfinished hems and unorthodox show venues, Margiela was a designer whose collections often revealed a profound understanding of classic clothing; an artist whose ideas could be perfectly assimilated within Hermes. And lest we forget, his appointment was concurrent with the then blossoming trend of “Critically Lauded Rising Fashion Star To Major House,” a move that paved the way for the appointments of fellow Belgians like Olivier Theyskens at Rochas and Raf Simons at Jil Sander, and subsequently Dior. Margiela’s oeuvre at Hermes can certainly be described as minimalist; sober, restrained, in a “classic” color palette of black, navy, brown, camel, gray, and white. “He did not want to speak of colors, but of tones, ‘tonalités’, another quiet revolution for a house known for rich colorful prints,” said Van Godtsenhoven. 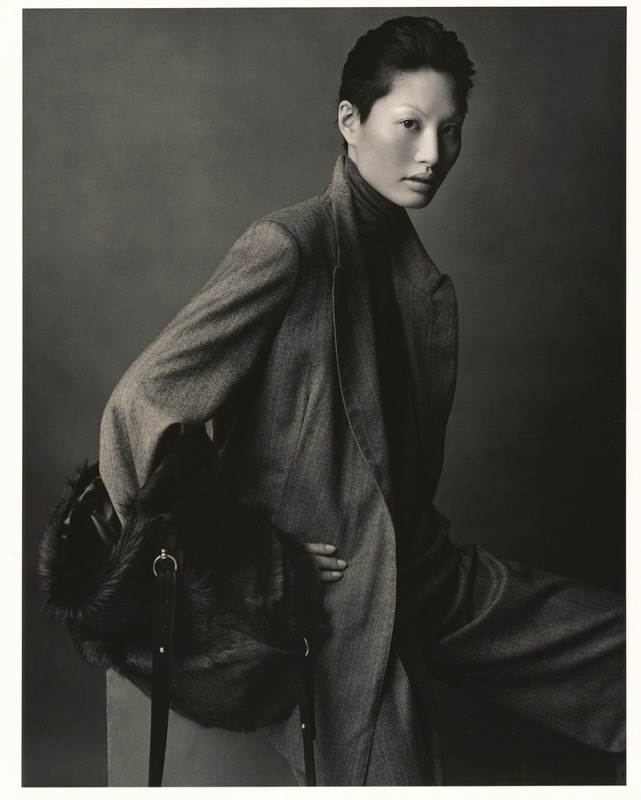 While at Hermes, Margiela embraced the staples of the male wardrobe like the trench coat, the tailored jacket, and the button down shirt, as the foundation for his collections knowing that the aforementioned garments are generally accepted as non-gender-specific or unisex. There is almost a total absence of girly flou in his collections. Such narrow field of focus on classics gave his work an understated, androgynous vibe very much in tune with the time, and could be appreciated by both the fashion demimonde and the madams of the 8th arrondissement in Paris. In terms of the garments, such a specific and narrow approach meant that almost every piece could be worn by nearly any woman, of any age or weight, at most times, and nearly anywhere, bar extreme climates or inappropriateness due to cultural, ceremonial, or religious reasons. In other words, his collections were – Hermes prices notwithstanding – remarkably inclusive in terms of just how MANY women could actually wear them. “Margiela had observed women in all phases of life and understood how a woman’s body can change over time. 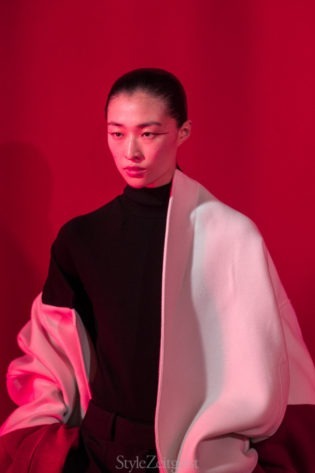 His designs are entirely in the service of this changing body, their exclusive purpose to support and strengthen the woman in her beauty, elegance and self-assurance,” said Kaat Debo, MoMu’s director and the exhibit’s chief curator. This awareness and openness to the various shapes and sizes of women’s bodies (and by extension their societal context) was a powerful message in an industry not known for embracing diversity. 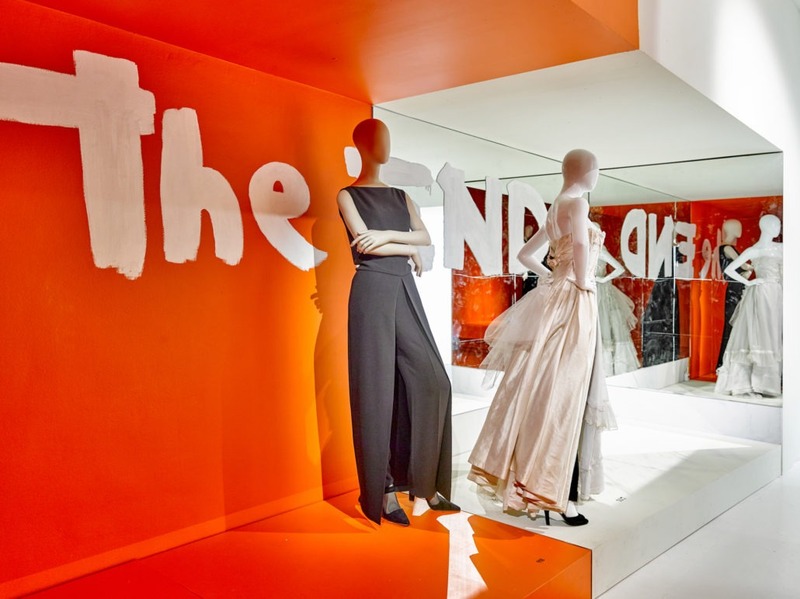 Such “democratic” clothing from one of the world’s most exclusive fashion houses was a quietly radical position to take, especially during the time when fashion was beginning to become aware of itself as a form of entertainment. Of course, there was design and innovation, but it was subtle and not for effect or display. 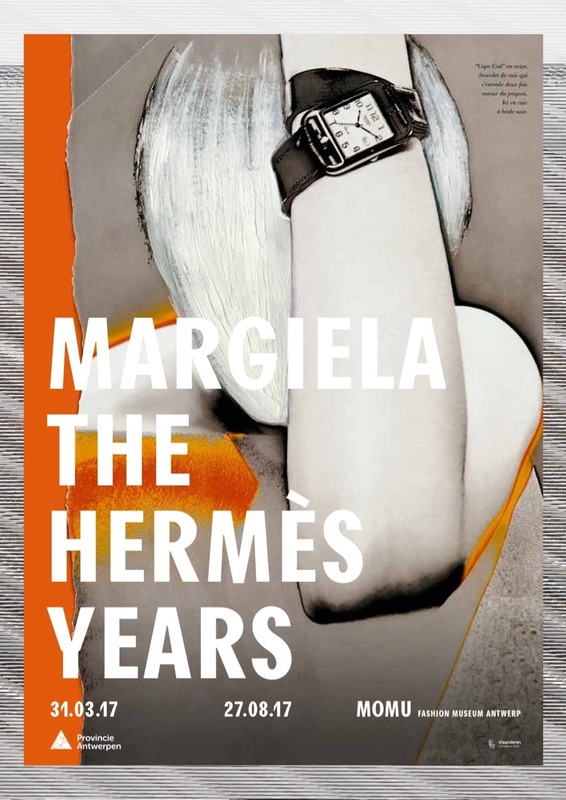 It seemed that the Margiela’s Hermes woman was very much on equal footing with men, comfortable in trousers and low-heeled shoes. “This has a particular resonance today when all around the world hundreds of thousands of women have taken to the streets to demand equal rights and respect for their physical integrity,” said Debo. 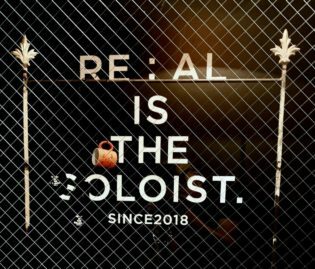 Clothing of this nature could be traced back to the earlier part of the 20th century and the rise of American sportswear. Katherine Hepburn and Amelia Earhart spring to mind. 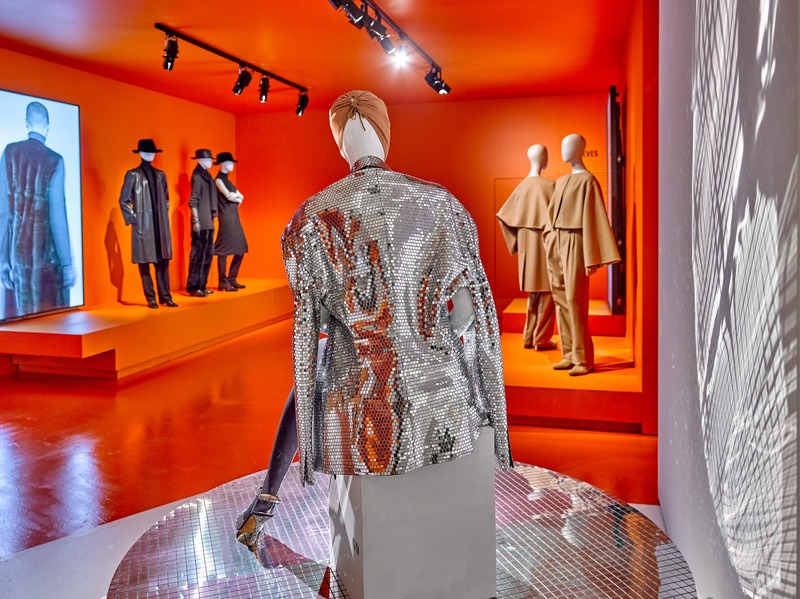 But it is the work of Yves Saint Laurent, in particular the years from 1965-1976, where one can see a similarity with Margiela’s work at Hermes. During those years, which spawned Women’s Liberation and saw many women enter the workplace, Saint Laurent was obsessed with finding the perfect uniform for women that could be on par with a man’s suit. It is there one can see the same rigorous approach: the clear lines and uncomplicated silhouettes, the lack of patterns and prints, and the ease and confidence that the clothing gave the wearer. At Hermes, Margiela developed a slowly evolving wardrobe with comfort, quality, and timelessness as fundamental elements. “He believed that a woman who feels comfortable in her clothes will exude a certain allure and beauty which comes from within. 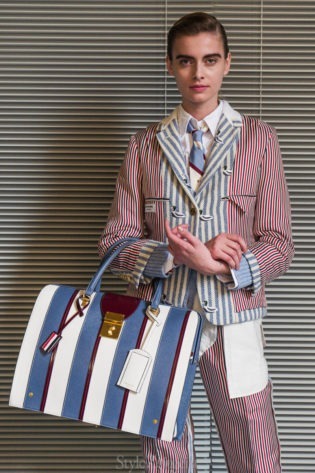 The wearer is his protagonist, not the clothes, which are simply at the service of the woman wearing them,” said Debo. It would be easy to dismiss Margiela’s collections at Hermes as unexciting, especially in our age of easily identifiable (and Instagrammable) fashion. But to do so would be to miss the point. 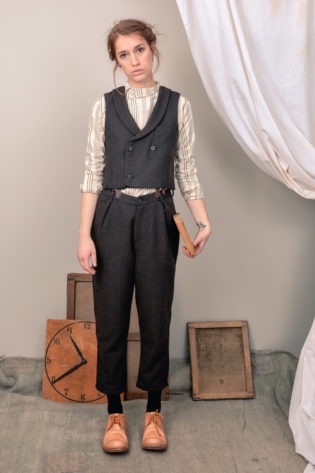 Those collections were designed not to impose an image or to disguise, but to provide the essentials of a contemporary wardrobe where a woman could assume her femininity in a confident way, without accepting societal norms. “Margiela the Hermes Years” on view at ModeMuseum (MoMu) until August 27th. Gallery photography by Stany Dederen.